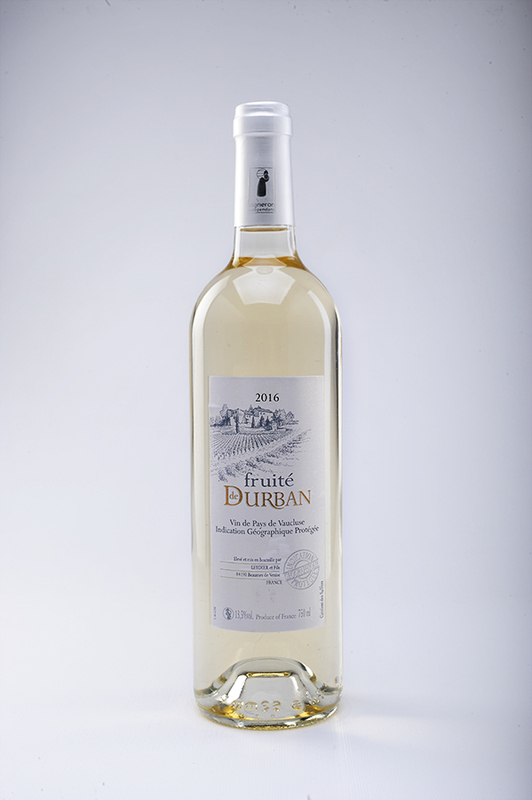 100% Muscat, finesse and with a certain elegance, with aromas of peach, apricot and leeches. To be enjoyed as an aperitif with foie gras, Roquefort, dark chocolate desserts, strawberries or melon. Serve chilled between 8° and 10° without adding ice. 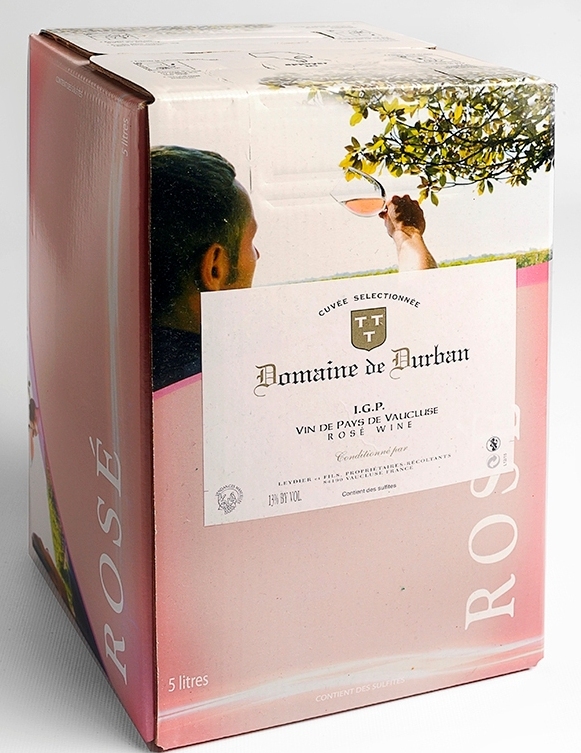 Reasoned cultivation, manual harvest, without de-stemming, fermentation temperature 15°, fermentation 15 days, direct pressing. Can be kept 18 to 20 years. 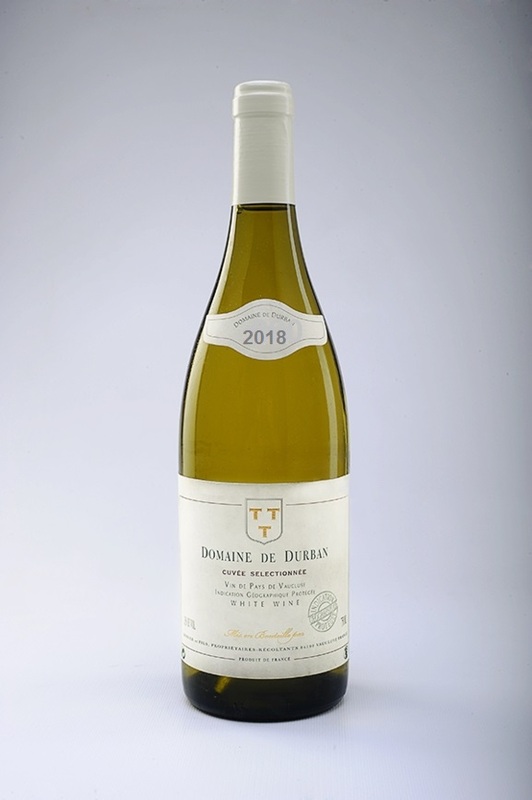 Grape variety: 50% Chardonnay – 50% Viognier with aromas of fresh fruits, dried fruits, spices and flowers. To be savored as an aperitif or as an accompaniment with fish or shellfish. 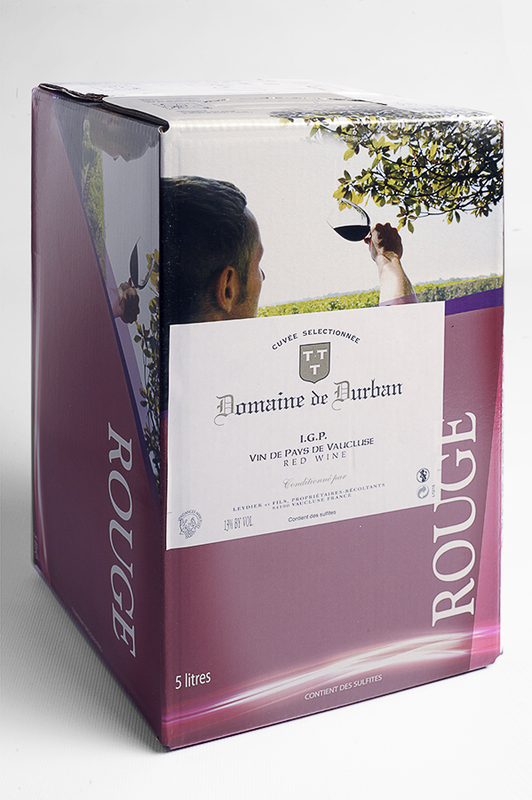 Reasoned cultivation, manual harvest, without de-stemming,fermentation temperature 18°, fermentation 15 days, pneumatic pressing, filtered wine. 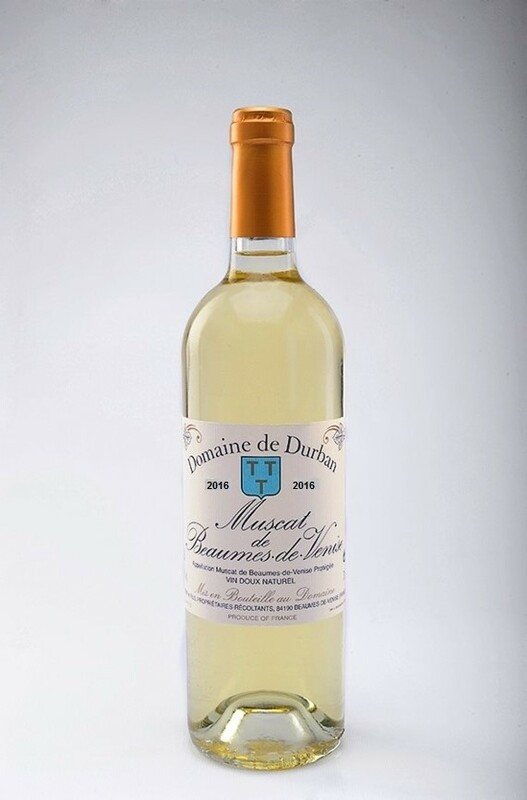 Dry white wine, 100% Muscat, can be appreciated as an aperitif, with asparagus, spicy dishes and other dishes such as melted cheeses (raclette, tartiflette, and fondue). You can also serve this wine with oysters and crustaceans. Raised culture, manual harvest, without de-stemming,fermentation temperature 18°, fermentation 15 days, pneumatic pressing, filtered wine. Can keep 2 to 3 years. 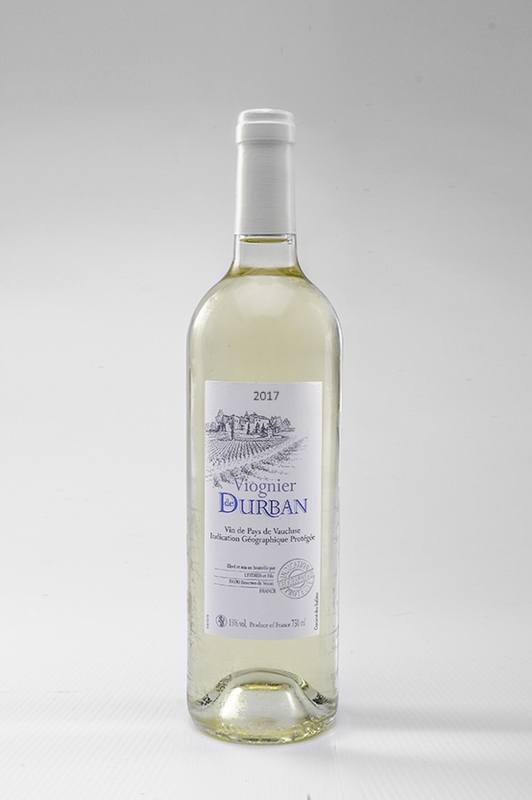 Grape variety: 100% Viognier, delicate and subtle aromas with a slight liveliness in the mouth. Can be enjoyed as an aperitif: with a starter dish; white fish or scallops. Reasonable agriculture, manual harvest, without de-stemming, fermentation temperature18°, fermentation15 days, pneumatic pressing, stainless steel fermentation and aged for 6 months in concrete vats. 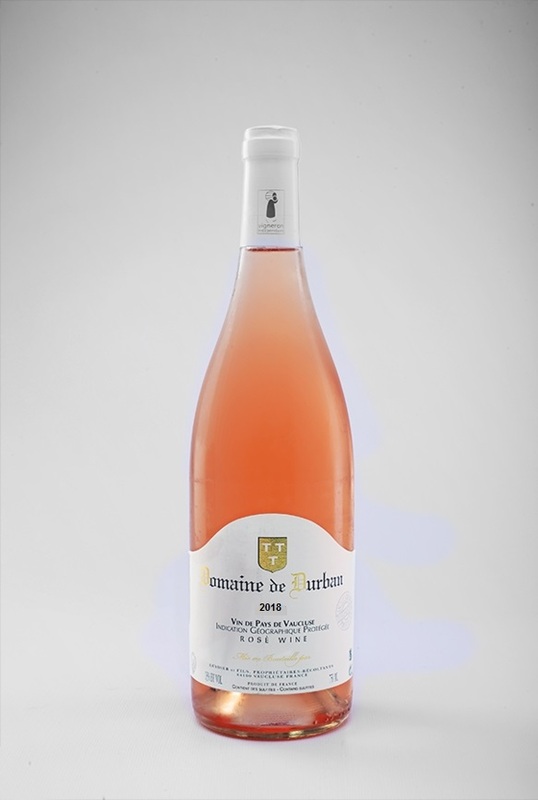 Rosé, 100% Grenache grape variety, with fruity aromas, great for an aperitif, will delight and treat all your guests during your summer meals. Reasoned cultivation, manual harvest, without de-stemming, fermentation temperature 18°, fermentation 15 days, pneumatic pressing. 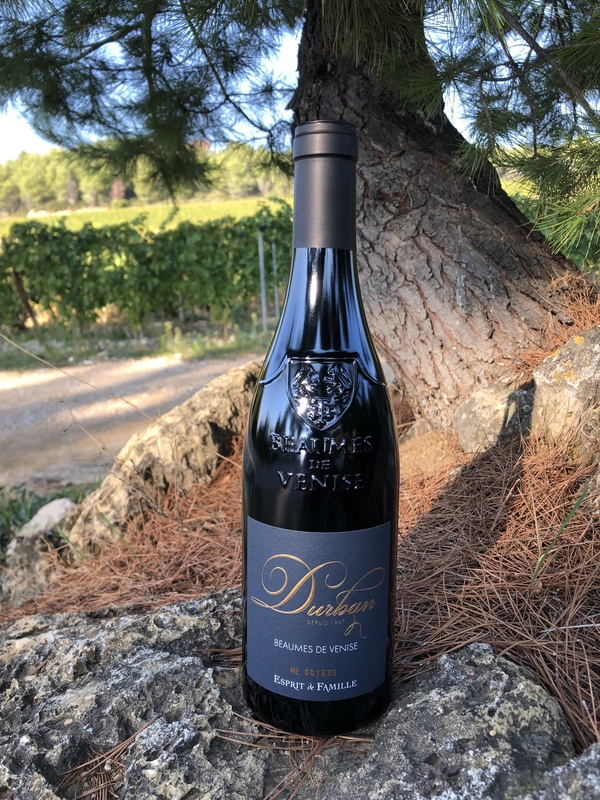 65% Grenache, 30% Syrah, 5% Mourvèdre . With a doubt promised a great future !!! all these bottles are unique because numbered !! 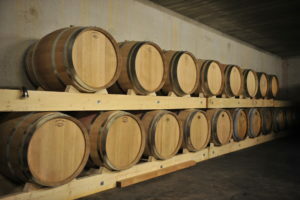 Unfiltered wine, aged for 15 months in oak barrels (225l), will keep well. Can be kept perfectly for many years. It will be in perfect harmony with cheese, game and venison. Reasoned cultivation, manual harvesting, Triassic soil (rock), 100% de-stemming, fermentation 20 days, 24° fermentation temperature, pneumatic pressing. Can be kept 10 to 15 years. 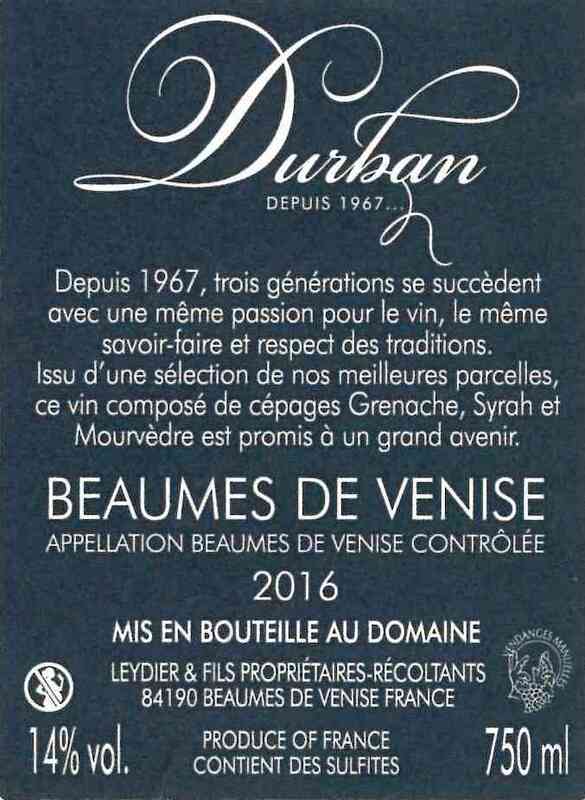 Vintage 2016 : small yield, excellent for a long storage! 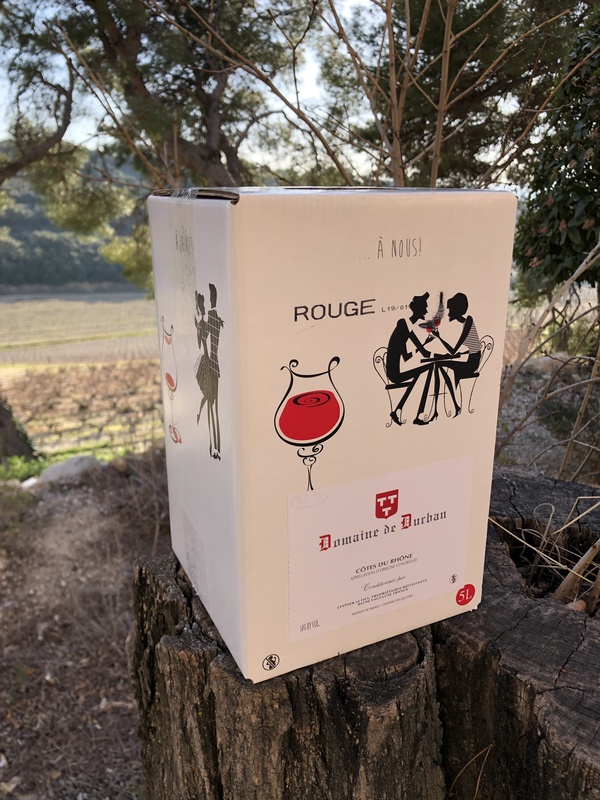 Beaumes de Venise Cuvée Prestige, unfiltered wine, aged for 12 months in truncated conical oak vats? 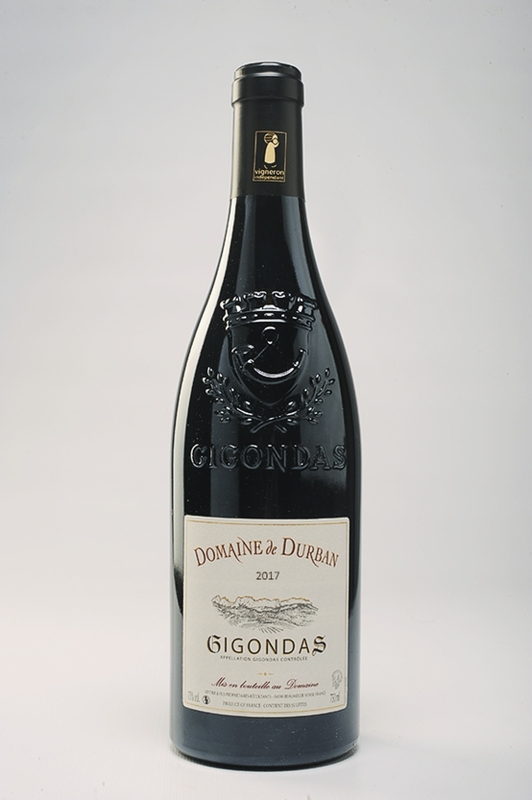 70% Grenache, 25% Syrah, 5% Mourvèdre . 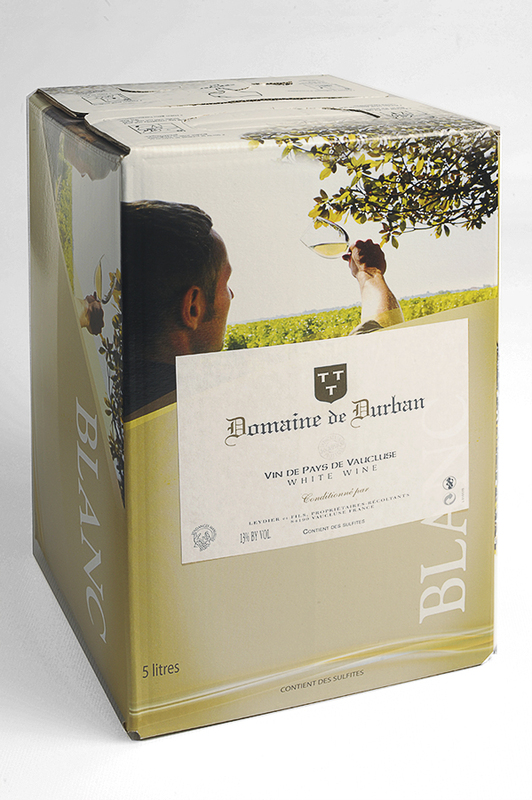 This wine is in perfect harmony with cheese, game and venison. Can be kept 10 to 12 years. 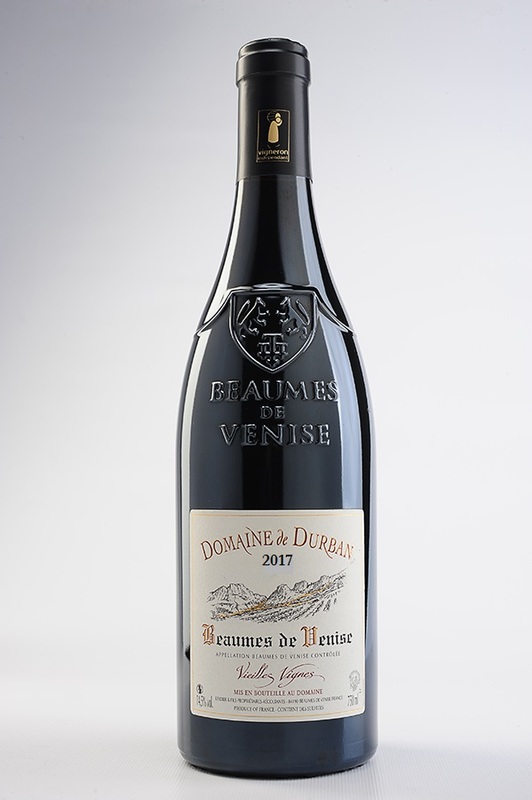 Beaumes de Venise Vieilles Vignes (ancient vines), unfiltered, matured 8 months in concrete tanks, 70% Grenache, 25% Syrah, 5% Mourvèdre. Ample, balanced and fruity will be in harmony with most meats. Storing it for a few years can only increase the pleasure of tasting it. Vintage 2017 : small yield, excellent for a long storage! 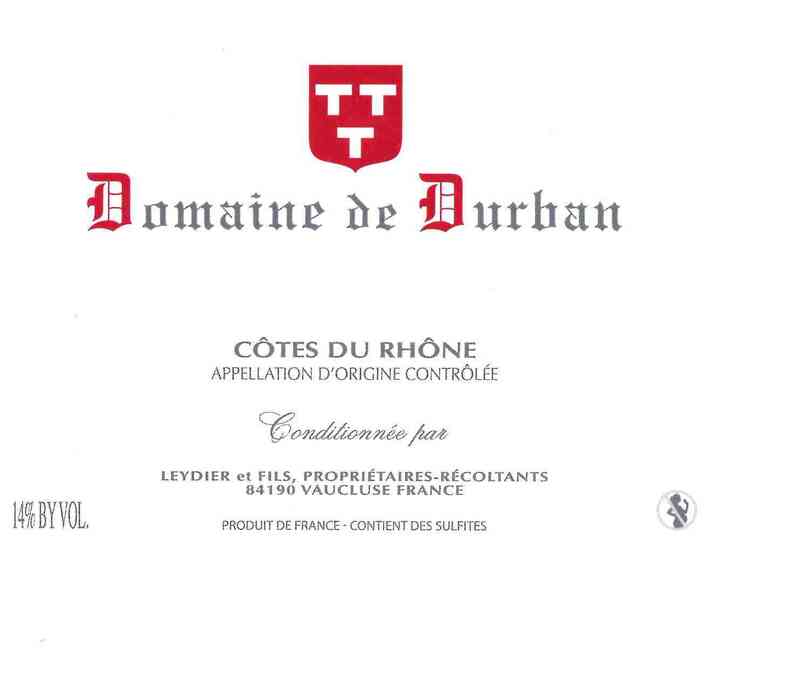 Raised culture, hand picked, 100% de-stemming, 24° fermentation temperature, 25 days fermentation, pneumatic pressing. Unfiltered, aged 6 months in concrete tanks, 70% Grenache, 30% Syrah . 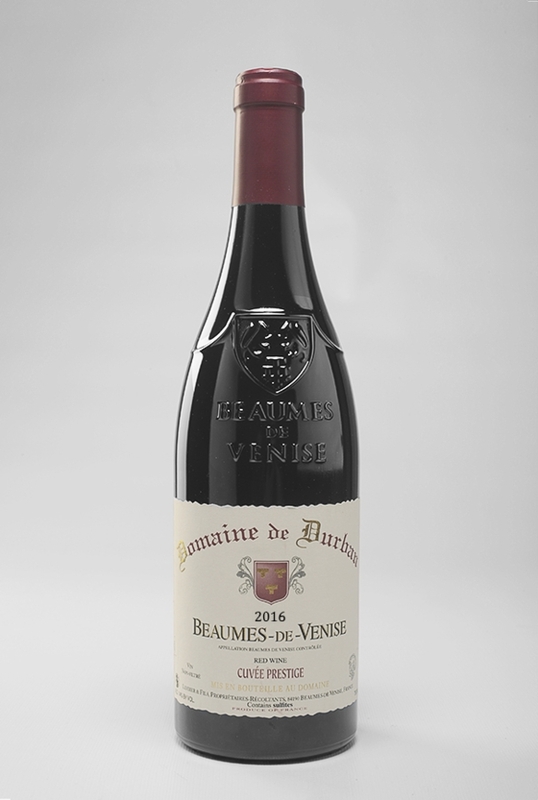 This generous wine, very fruity, powerful, slightly spicy, has a round and supple finish. In harmony with cheeses: red meats and game. Keeping a few years can only increase the pleasure of appreciating it. Available from february to September.